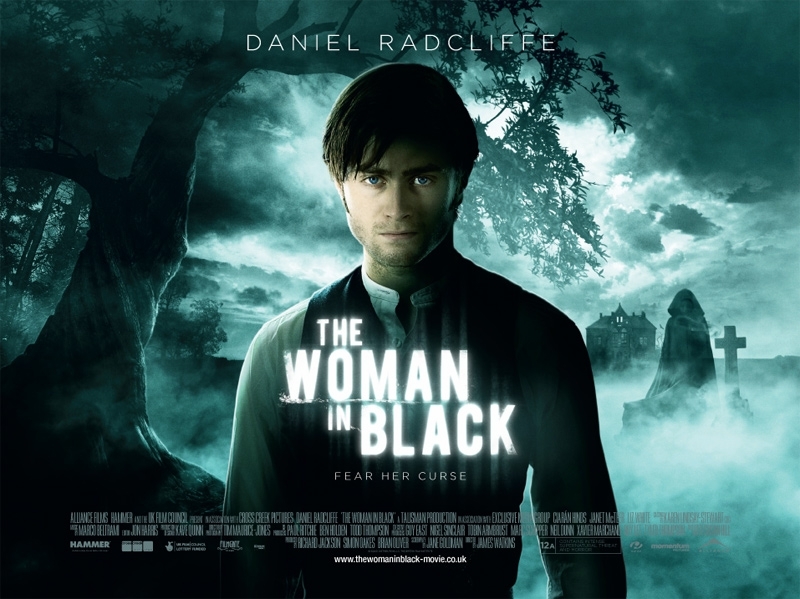 We’re now taking advance bookings for our second screening, THE WOMAN IN BLACK (12A). The story, based on Susan Hill’s best-selling novel and hit stage play, follows lawyer Arthur Kipps (Daniel Radcliffe, recent graduate of Hogwarts) as he is forced to confront the eponymous nasty menacing a remote community. The film is the first to be released by the newly resurrected Hammer Films and promises plenty of atmospheric chills in the run up to Halloween. This is very much a classic ghost story, playing on viewers’ imaginations (hence the film’s 12A rating). What better story to share in a village hall on the edge of an ancient churchyard in our very own unlit ‘remote community’? We’ll dress the hall in suitably macabre fashion, offer soft drinks and comfort food at reasonable prices (you’ll have to supply your own stiff drink, if that’ll help) and set the open fire if it’s a raw night. …But get your tickets fast as demand promises to be high! Advance tickets are available by emailing llancarfancine@gmail.com, or pop into the pub and enquire at the bar.